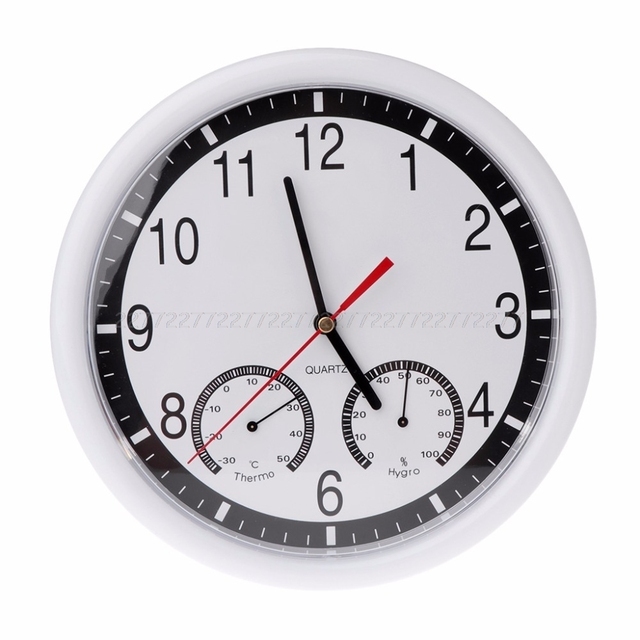 Easy to read numbers, so you can see the time easily from far away, and even easy to read in dim lighting. 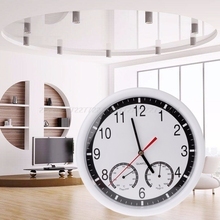 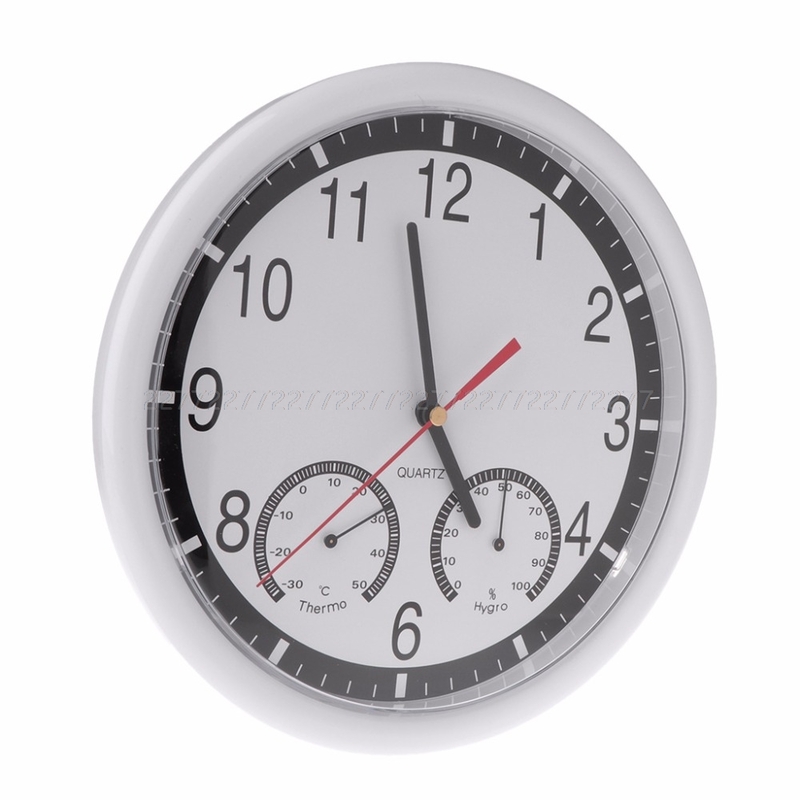 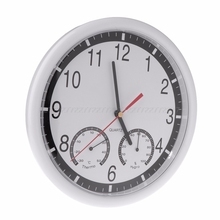 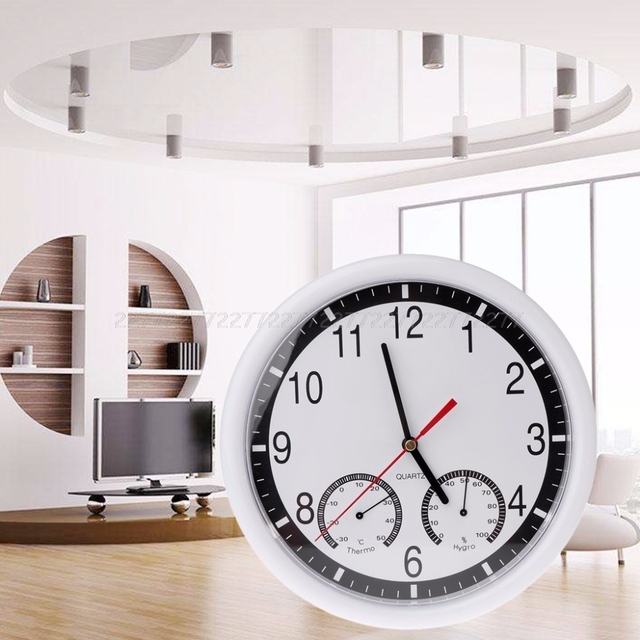 This clock is a great presence in any room and you won’t be straining your eyes to read it. 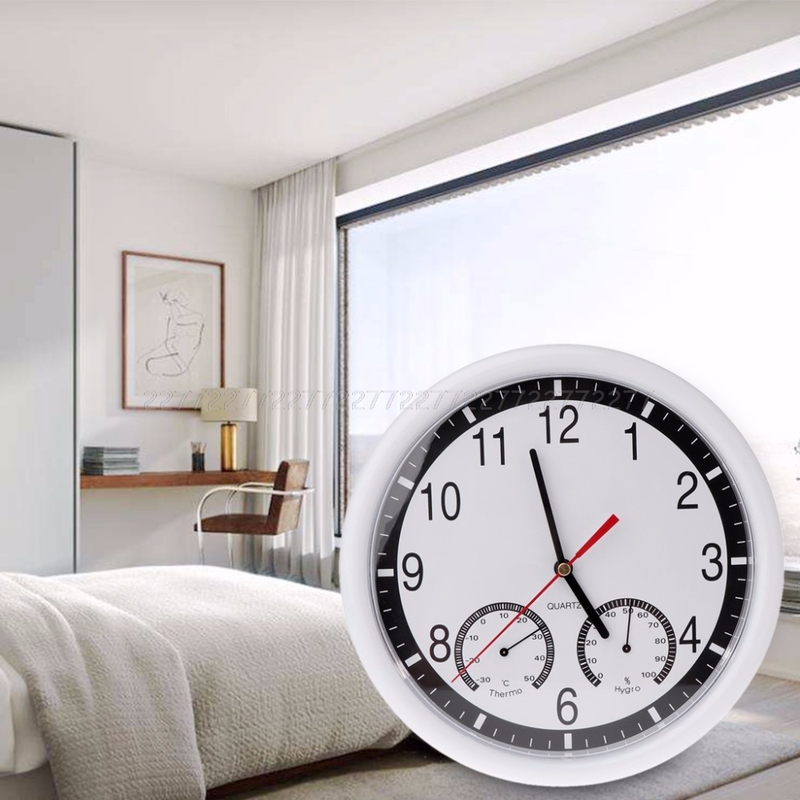 With the hygrometer you will be able to control the humidity levels at your home – especially important during winter, when humidity falls rapidly. 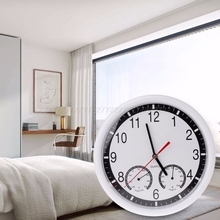 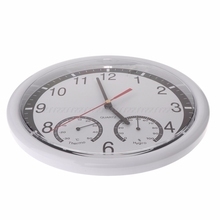 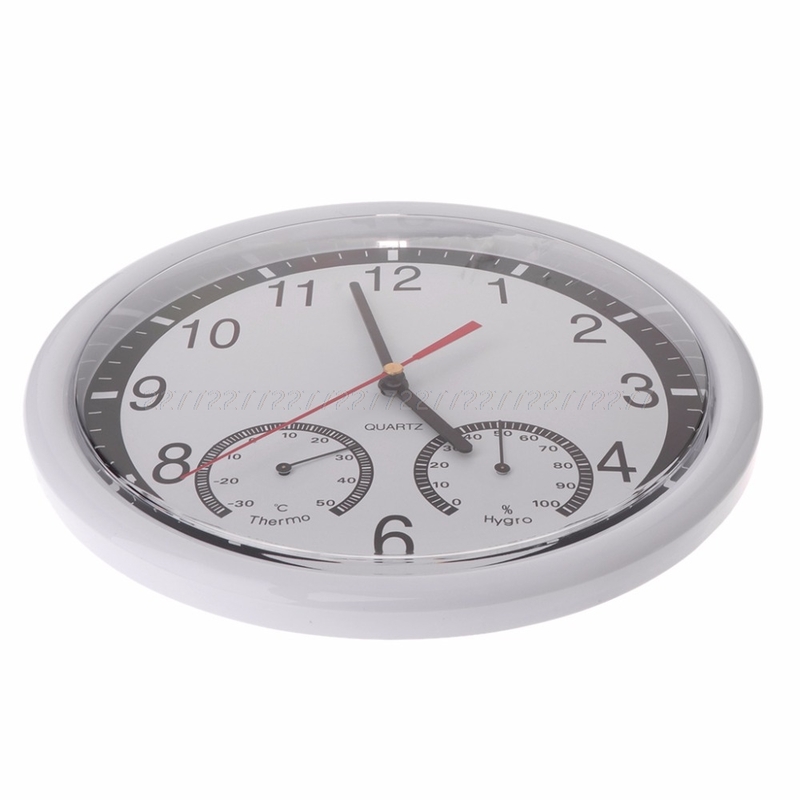 Super quality quartz sweep movement guarantees accurate time and absolutely silent environment,suitable for bedroom, kitchen, meeting room and any other places which needs a silent environment. Wall Clock only, other accessories demo in the picture is not included!